Scopus is the world's largest abstract and citation database of peer-reviewed literature: scientific journals, books and conference proceedings. Delivers a comprehensive overview of the world's research output in the fields of science, technology, medicine, social sciences, and arts and humanities. Web of Science searches major science journals across disciplines.Tracks the number of times articles and authors are cited by others. Includes Science Citation Index (1900 - present), Conference Proceedings Citation Index, Journal citations reports, and Derwent Innovations (patents) databases. Watch Video. 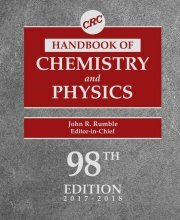 Indexes over 100 years of chemistry journals, books, patents, conference proceedings, technical reports, dissertations and reference works. Search by chemical structure, name or keyword. First time users need to register at http://resolver.library.cornell.edu/misc/6197957. PubMed is the premier database for medical literature. Publisher is National Library of Medicine. Proquest Digital Dissertations contain abstracts and sometimes full-text PDFs to most North American theses. (Classic McGraw-Hill books, such as Perry's Chemical Engineering Handbook). DataVis is a new visual materials properties tool that allows one to compare properties of hundreds of materials. Knovel has thousands of technical e-books on many subjects. Materials Properties, ASM Handbooks may be searched here. 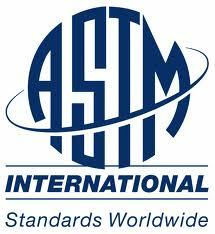 12,000 standards by the American Society for Testing of Materials. There are 95,000 standards published by many organizations, such as ISO that we order individually as needed. Classic ready-reference source of physical and chemical data for all types of materials. In-depth reference on chemical substances— properties, manufacturing, uses, industrial processes and unit operations in chemical engineering, environmental and health issues. The Journals of Visualized Experiments (JoVE) are devoted to scientific online video journal articles to help researchers learn new experimental techniques. Publication ready chemical structures. Click more for download instructions.